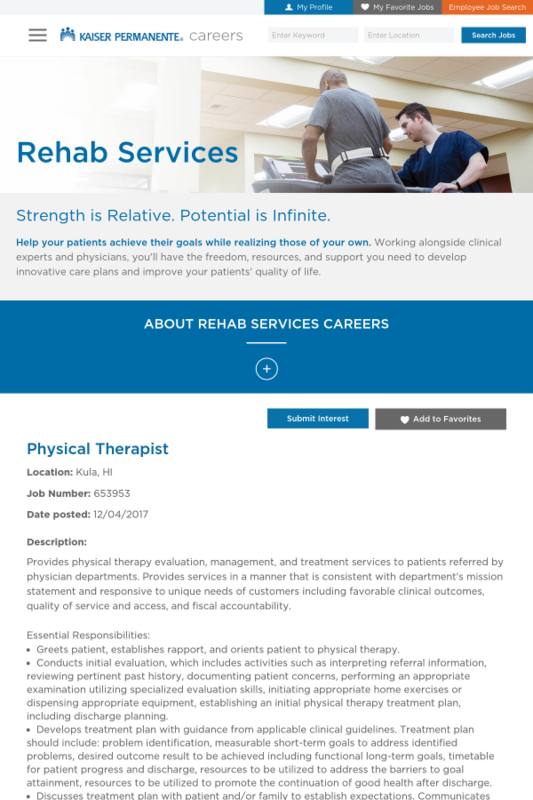 Bachelor's degree in physical therapy from an accredited college or university. Valid Hawaii Physical Therapist license (must meet education requirement(s) for Hawaii State licensure). Ability to physically assist patients in performing functional tasks and therapeutic exercises. Demonstrated knowledge of and skill in interpersonal relations, oral communication, written communication, group process facilitation, teaching, customer service, self-motivation/initiative, creativity/innovation, and teamwork. One (1) year of related experience in area applying for (i.e., acute care, skilled care facility, sub acute care, outpatient). Doctor's degree in physical therapy.